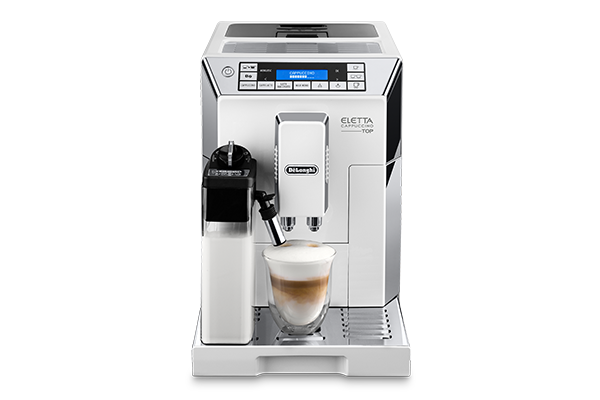 New De’Longhi LatteCrema System: Enjoy a perfect mix of milk and coffee beverages. 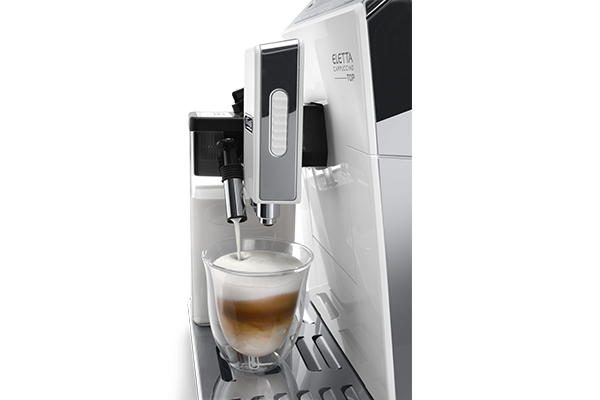 Automatic cleaning function on the froth regulating dial allows you to easily clean the whole milk carafe system– so the milk carafe can be placed in the fridge after use. 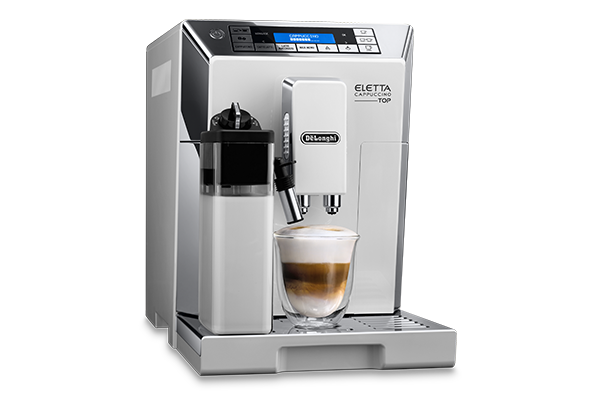 Extra cappuccino device for steam and hot water can be used to manually prepare velvety milk foam or deliver hot water for fruit and herbal teas. 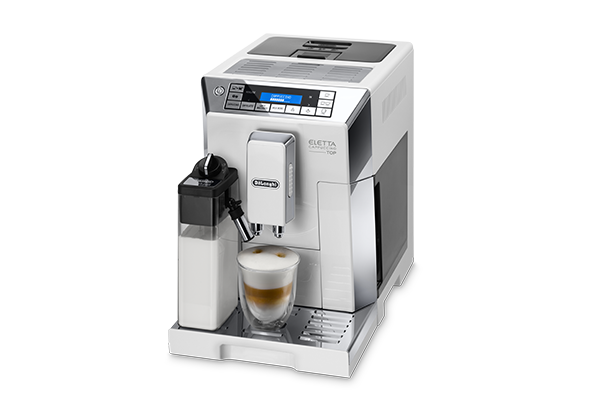 Intuitive sensor touch control panel with two text line display and four languages for using the machine in a clear and simple way. 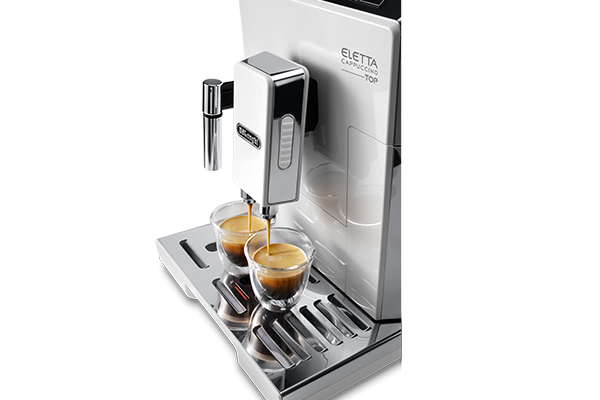 Long Coffee button with extra brewing cycle for intense aroma and flavour. Personalising coffee as often as you want has never been easier. Choose from short, medium or long, try a strong or extra mild aroma, enjoy it piping hot, at medium or low temperature. Active cup warmer for cups always at the right temperature.